Like the seven films before it, Muppet madness continues in The Muppets Most Wanted and while the film is less successful as its immediate predecessor it still leaves a smile on your face. The mopey, heart-on-the-sleeve theatrics of the previous film are quickly dispersed as the Muppets deal with their sudden rise to popularity again and meet a dangerous new foe named Constantine, who happens to be Kermit the Frog’s doppelganger. This is still entertainment developed more for the adults – especially those that grew up with television show or watched it during its original prime time run – than it is for the kids but that doesn’t mean children won’t be entertained. It just means they won’t get all of the jokes. Director James Bobin (The Muppets), who co-wrote the script with Nicholas Stoller (who co-wrote The Muppets with Jason Segel), gets both the wacky humor (with only a few more groans) and poignancy from the whole Muppets-out-of-water narrative as our favorite fur-covered monsters take their successful show throughout Europe, including impressive theatrical venues in London, Madrid, Berlin, and Dublin and find themselves on the wrong side of the law when they arrive in Russia. Starring Kermit, Miss Piggy, Fozzie Bear, Gonzo the Great, Rowlf the Dog, Animal, Sam the Eagle and the others, The Muppets Most Wanted is, in spirit, much like their best film, The Great Muppet Caper and polishes that newly found Hollywood glow with great secondary performances from Ricky Gervais as Dominic Badguy and Tina Fey as Nadya, a Russian commandant and, secretly, Kermit the Frog’s biggest fan. Ty Burrell plays French Interpol inspector Jean Pierre Napoleon, doing his best version of Inspector Clouseau from the “Pink Panther” series. The celebrity cameos are almost non-stop this time and they come from some surprising faces, just keep your eyes peeled to the screen. Included in a very long list are Ray Liotta, Usher, Zach Galifianakis, Salma Hayek, Frank Langella, Stanley Tucci, Danny Trejo, and Christoph Waltz. Too many? Maybe, but some of the cameos are so surreal and so outrageous that it makes the whole hazy star-studded trip worth it (yes, Celine Dion, I am talking about you). Witty and self-deprecating songs like “We’re Doing a Sequel,” “I’m Number One,” and “I’ll Get You What You Want”, all written once again by Christophe Beck and Bret McKenzie, provide the energy needed to sustain this musical comedy feature through its many ups and downs. Those “downs” don’t have to do with the love the talent behind the scenes has for the Muppets. They come more from an unpolished story whose jokes sometimes feel a bit too familiar and safe. But, the new Muppets film also fixes the major issue with The Muppets. There are less humans this time round and none of them are main characters. 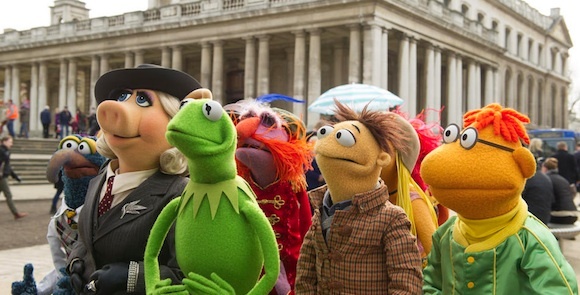 Humans, as we know, aren’t the focus in this absurd world: the Muppets are. And we welcome that. The Muppets Most Wanted is cheeky fun and, from a film whose biggest stars are decorated socks with hands up their butts, what more can you expect?! Look, it’s not the low-blow that Muppets From Space was, so rejoice. MPAA Rating: PG for some mild action. Memorable Movie Quote: "There's only one guy in this world who can save us! There's only one frog who can restore order, bring justice, and set things right!" Synopsis: Packed with celebrity cameos and featuring star turns from Ricky Gervais, Tiny Fey and Ty Burrell, Muppets Most Wanted takes the entire Muppets gang on a global tour, including stops in Berlin, Madrid, Dublin and London. But mayhem follows them overseas as they find themselves unwittingly entangled in an international crime caper headed by Constantine, the World's Number One Criminal, and dead-ringer for Kermit.. Though the cast and overall quality may lead you to expect a TV-type presentation, Muppets Most Wanted has production values establishing it as theatrical fare. 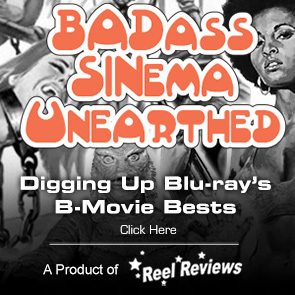 Those values are easy to admire in the Blu-ray's first-rate picture and sound. The 1.78:1 video offers vivid colors, a sharp element, and an outstanding level of detail. The 7.1 DTS-HD HR soundtrack similarly flows with life, immersing you in nicely-mixed music, enveloping effects, and crisp comedy. The Blu-ray combo pack comes with three editions, the theatrical edition, the “Unnecessarily Extended Cut,” and the “Statler and Waldorf Cut.” Though Muppets Most Wanted is a bit bloated in length to begin with, the extended version of the movie is worth watching. It contains over 12 minutes of bonus material, and some of the jokes are better than the ones that made the original cut. We won’t spoil what the “Statler and Waldorf Cut” contains, but given how the characters always rag on the Muppets, it should be easy to guess. One featurette shows Rizzo penning a letter to director James "Burbin" and company requesting more screentime for Rizzo the Rat. The Bloopers are also great (there are a lot of them), and the additional features (listed below) are worth watching too.